There is an innovative category of artist that confirms the many ways art can do more than mirror the state of our culture, or current events. These artists are committed to working in ways that actually change how the world works in addition to the ways we might perceive the world. The diverse art projects I am fascinated with cover a wide range of disciplines. Social practice or public interaction is often a vital component. These international artists are doing more than merely talking about “relational aesthetics”. Ecological systems are inherently relational with great potential for embedded aesthetics. Financial and economic crises, sustainability and green infrastructure, bioremediation and native habitat restoration: all can be subjects of this reflective approach. Some projects are activist in form, but others may just be creatively subversive – employing whatever tactics go beyond getting the point across, all the way to actually making a difference. Artistic personalities can be resourceful in unique ways because artists are taught to think outside the box. Adversity trains them to be capable of negotiating transformative paths. This work is not necessarily political, but often involves alternative structures, cross-disciplinary methods, and the applied sciences. Public officials may be supportive, or in opposition, but the work certainly provokes a response. Several international artists present solutions to environmental and land use challenges in a variety of formats. Project manifestations range from studio art, to performance, to depictions of permanent public installations. The artwork itself is visual, poetic, and ambiguous, not didactic in nature. We can be inspired, and intelligently seduced into action, without being bombarded by post-apocalyptic visions. 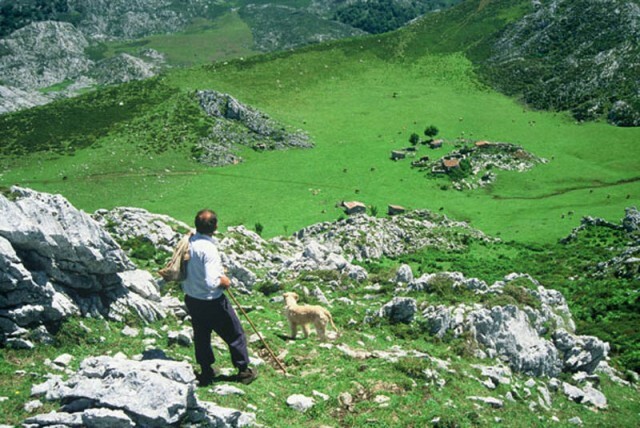 Fernando Garcia Dory organizes Shepherds events that maintain farming culture and prevent development in the mountains of his native Spain. 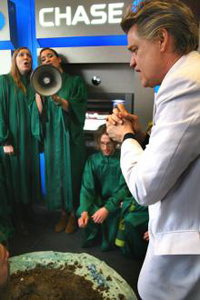 Reverend Billy/Church of Stop Shopping deposited “murdered mountain mud” at 20 Chase Manhattan branches informing customers about the bank’s mountaintop removal financing. 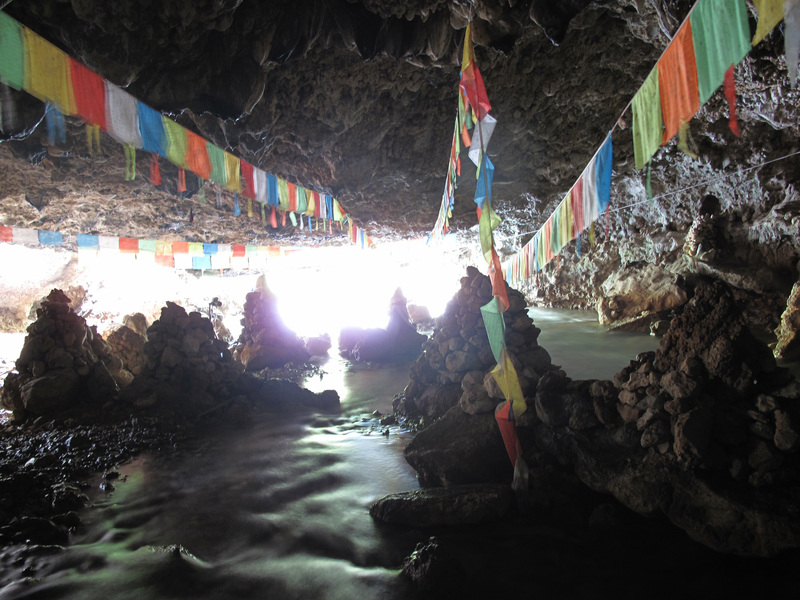 Betsy Damon creates interventions with Tibetan communities to save sacred water sources. 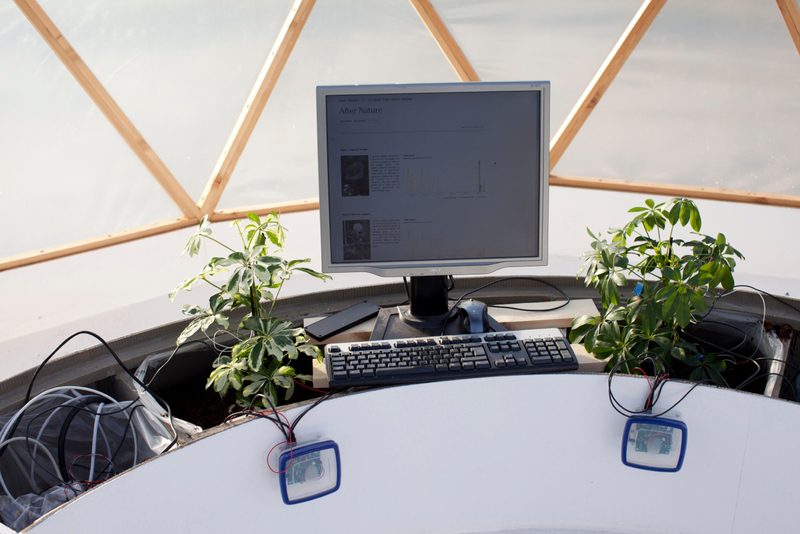 Mathias Kessler & scientist Dr. Wendelin Weingartner, use software interfaces to verbally announce plant stress symptoms. Certainly not “art for art’s sake”, Effective Art derives inspiration from outside the art discourse. This work stretches what art is capable of doing, beyond green-washing contemporary culture or complaints about art’s marginalization. As Gustave Speth, a founder of the Natural Resources Defense Council and former Dean at Yale School of Environmental Studies says “we need all the help we can get”. This work of these artists examines successful tactics that use art as a critical weapon in the fight against environmental destruction.